Entrepreneurship and innovation are central themes in museum about the history of Philips’ development into a global company. The Philips Museum is located at the old factory, where Gerard Philips manufactured his first incandescent light bulb in 1891. 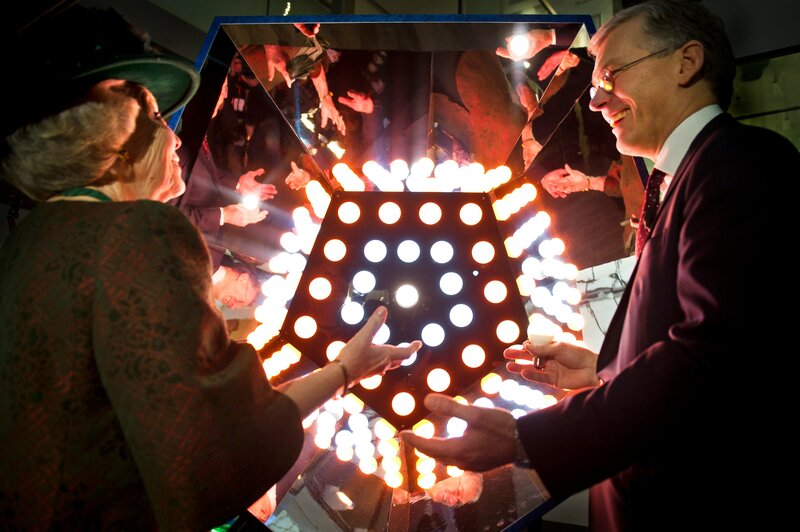 Eindhoven, Netherlands – Queen Beatrix of the Netherlands, together with Frans van Houten, CEO of Royal Philips Electronics (NYSE: PHG, AEX: PHIA), today officially opened the Philips museum in the city center of Eindhoven. 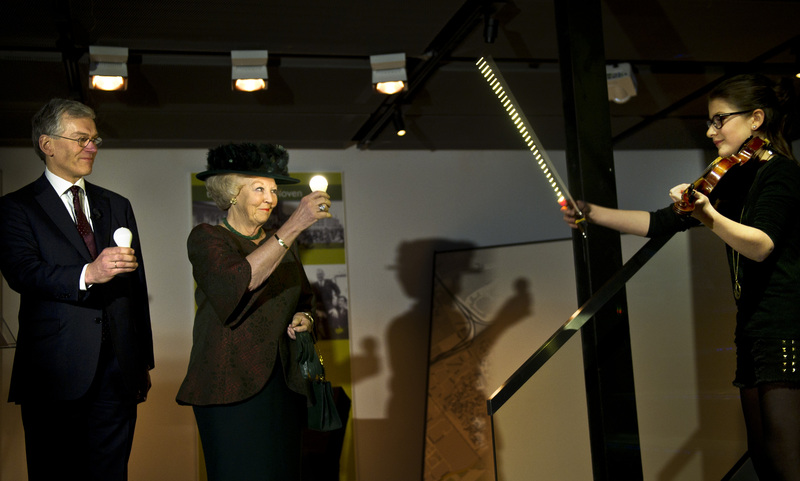 Her Majesty the Queen symbolically switched on the lights in the museum by fitting a wireless LED lamp in a light sculpture to illuminate it. The opening ceremony was accompanied by music performed by members of the Philips Symphony Orchestra. Subsequently, the Queen was given a guided tour of the museum. Visitors to the Philips Museum can experience the development of the company since its inception in 1891, right up to the innovations of tomorrow. It tells an interactive story about the innovation and ambitious entrepreneurship that have enabled Philips to make a positive contribution to the lives of millions of people. History is brought to life with a collection of unique historic and contemporary products accompanied by fascinating personal stories about how these products were created. The museum also offers a glimpse of what Philips foresees for the future. Visitors to the museum can take a fascinating journey through the history of Philips. From the very first incandescent lamps to today’s highly sophisticated, energy-efficient LED lighting, and from the first steps in medical diagnostics to life-saving minimally invasive medical treatments which are now possible thanks to Philips’ technological innovations. Visitors can also see how the spectacular development of consumer products such as shavers, radio and TV took place. The Philips Museum is located at the historic site where, back in 1891, Gerard Philips manufactured his first incandescent light bulb. The old factory has undergone major renovation and extension to emerge as a setting that unites the cornerstones of our heritage: entrepreneurship and innovation. The museum will be open to the public from tomorrow, April 6, 2013, onwards. Further information about the exhibition at the Philips Museum can be found at: www.philips-museum.com The website also provides practical information, such as opening hours, ticket prices and parking, etc. The Philips Museum is a museum dedicated to Royal Philips Electronics. It is housed at the very first incandescent light bulb factory in the center of Eindhoven. The exhibition takes visitors on a journey through the history of Philips: A story of innovation and ambitious entrepreneurship – from the establishment of the company in 1891 to the innovations of tomorrow. For more information, visit: www.philips-museum.com.